Eakerite: Mineral information, data and localities. Named in honor of Jack Eaker (26 October 1930, York County, South Carolina, USA - ), lab analyst for the Foote Mineral Company at Kings Mountain, North Carolina, USA. He discovered the mineral and suspected it was a new species. The name is pronounced ēkerait. 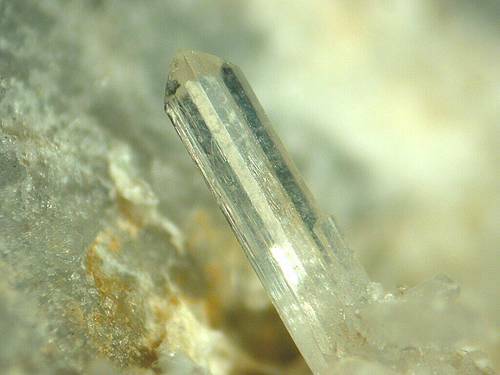 This page provides mineralogical data about Eakerite. Natural History Museum, London, England, 1968, 204. National Museum of Natural History (Smithsonian), Washington, D.C., USA, 120301, 121143. Leavens, P.B., White, J.S., Hey, M.H. (1970) Eakerite, a new tin silicate. The Mineralogical Record: 1: 92-96. Pyrite 1 photo of Eakerite associated with Pyrite on mindat.org. Bavenite 1 photo of Eakerite associated with Bavenite on mindat.org. Not soluble in acids or bases. Fleischer, M. (1971) New mineral names. 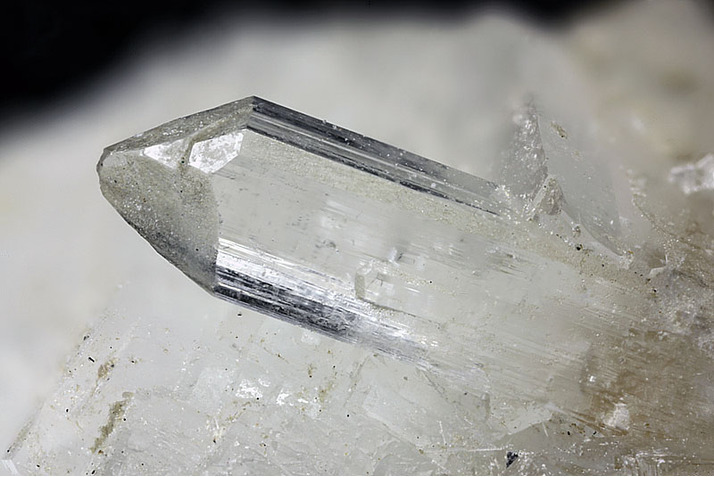 American Mineralogist: 56: 631-640. Kossiakoff, A.A., Leavens, P.B. (1976) The crystal structure of eakerite, a calcium-tin silicate. 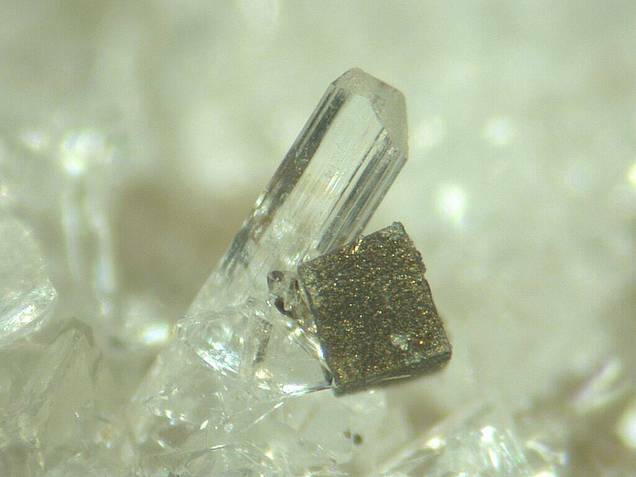 American Mineralogist: 61: 956-962. Uchida, H., Downs, R.T., Thompson, R.M. (2007) Reinvestigation of eakerite, Ca2SnAl2Si6O18(OH)2·2H2O: H-atom positions by single-crystal X-ray diffraction and correlation with Raman spectroscopic data. Acta Crystallographica: E63: i47-i49.